What can you really see in the night sky? 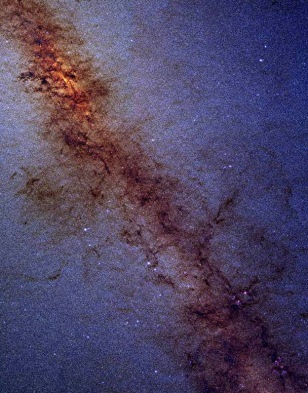 Most of the stars toward the center of our Milky Way galaxy are hidden behind clouds of dust, unseen by telescopes. But an infrared telescope sees the dust and the stars beyond it, too.